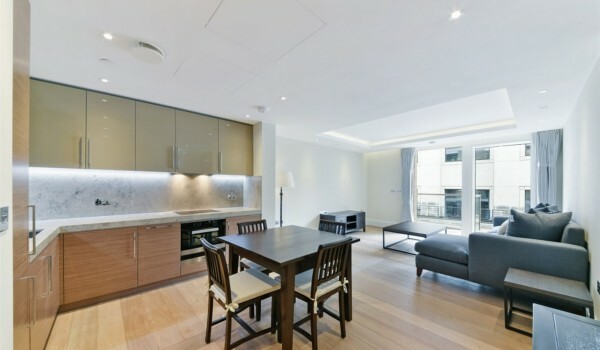 An award-winning development located on the world-famous Strand, London. This new iconic landmark is closely linked to the richest aspects of London living. The apartment offers open plan living layout designed with engineered timber floor, chrome door handles and recessed downlighting throughout. The Kitchen is individually designed with stone countertops and LED downlights and concealed cabinet LED lighting. The appliances include Miele induction hob, Miele multi-function oven, Miele integrated fridge and freezer, Miele wine cooler, Dishwasher, and free standing washer/dryer. Bathrooms are designed with stone and veneer vanity units, chrome fixtures, mirrored cabinets, with shelving and shaving socket, and thermostat controlled heating towel rail. The bedrooms are carpeted, bespoke fitted or walk-in wardrobes to the master bedroom with chrome handles. Balconies are well-proportioned glass/steel balconies with stone paving and external lighting.